Heeft u een vraag voor Shore Time Hotel Annex? Gelegen in Station 2, maakt Shore Time Hotel Annex de perfecte keuze voor reizigers die Boracay en omgeving willen bekijken. Vanuit hier kunnen gasten genieten van alles wat de levendige stad te bieden heeft. Dankzij de praktische locatie liggen alle belangrijke trekpleisters in de buurt van het hotel. Niet is voor Shore Time Hotel Annex teveel om het haar gasten naar de zin te maken. Zo biedt dit hotel de beste services en vele voorzieningen. De topvoorzieningen van de accommodatie zijn inclusief gratis wi-fi in alle kamers, dagelijkse schoonmaak, 24-uur receptie, wi-fi in openbare ruimtes, vervoer van/naar luchthaven. Shore Time Hotel Annex beschikt over 12 gastenkamers. Deze zijn allemaal smaakvol ingericht voor optimaal comfort, met voorzieningen zoals plasma tv, beddengoed, spiegel, slippers, sofa. De accommodatie biedt geweldige recreatiemogelijkheden die uw verblijf onvergetelijk zullen maken, zoals golfbaan (binnen 3 km) , massage, tuin. 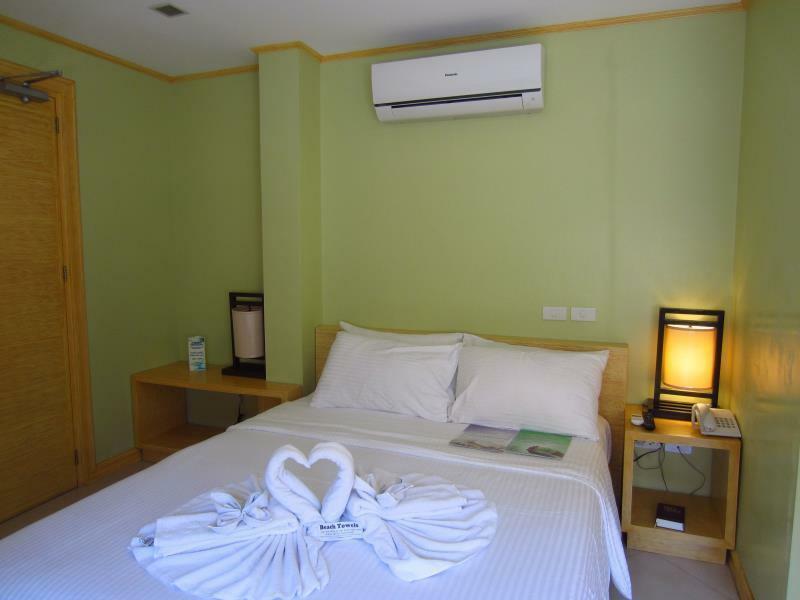 Als u op zoek bent naar een accommodatie die comfort en gemak in Boracay biedt, dan is Shore Time Hotel Annex uw thuis ver weg van huis. The hotel is very close to the beach. It's in D'MALL. It's very convenient to eat and go to the supermarket. It also has clothes hangers for airing clothes. The hotel staff are very enthusiastic and will help us boil hot water and soak instant noodles. It's very clean. It's cleaned every day. Recommend. Its located on a busy road at a busy intersection. Regardless of being close to D'mall or whatever its location is terrible because its right on a busy road and above a busy footpath, meaning you will hear traffic and pedestrians walking past at all hours of the day and the dust from the street will seep into your room!. This is the same for all rooms! Also the location on google maps is wrong ! We stayed here last November this year. I called their hotline before booking this hotel and was informed that in one room they allow 3 persons to stay. So I booked two rooms for 5 persons but they charged us P500 per night for the other person using an extra bed since they only allow 2 persons per room even we insist that I informed them about it prior my reservation. It's very pricey for a small room. You can even hear the audio of the TV or the person talking to the other room. This is the worst experience we had in a hotel. There are more beach front hotels in Boracay with the same price. We're just forced to book this hotel because during that time they are the only one available accredited by the government. We'll definitely not stay in this hotel anymore! The location is at the center of boracay. Very accessible to all things like resto, groceries and the beach. The room is clean and they change the linens regularly. But it had no cabinet for our clothes. But overall, this place is so nice. hotel staff very helpful especially Michael who went out of his way to assist. hats off to the staff. cons - bathroom drainage was clogged, and water pressure was not so good. room are not sound proof so be prepared to be heard and hear people from the outside. Another issue is they could have put more door mat at the bathroom as there was none. overall was a nice staff and very pleasent and friendly staff. The amnesties can be improved. Aside from its affordable rates, I like the location of this hotel. You have McDonald’s to your right, Ministop and Banks to your left and D’Mall and beachfront at the back and they’re all few steps away. The rooms are neat and the staff are so nice. One I will definitely recommend. We got this room for a really cheap price. Our room was clean and the staff were nice. The only complaint we have is, like what's indicated in other reviews here, the walls are really thin that you can hear other guests talking or watching tv in the other room. Also, they have provided a rack for wet clothes but it's on the hallway that we're hesitant in leaving them outside for fear that our clothes may go missing or something. But other than that, it's a really good budget hotel to stay in. Would definitely stay here again. 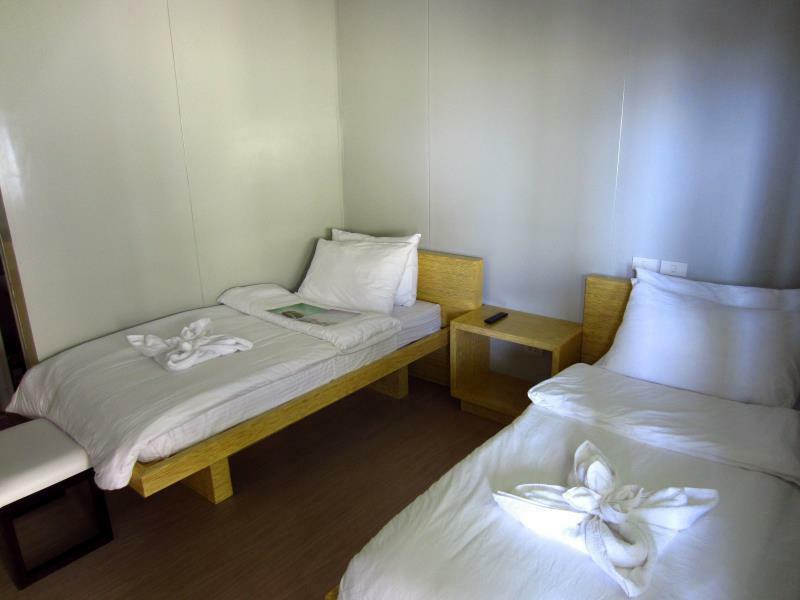 Good hotel if you are a heavy sleeper,no sound proofing between rooms,other than that,a very clean hotel,clean and fresh smelling linen,all the staff are excellent and very friendly and will provide you with a towel for your day at the beach. Great clean linens. Good. Bathroom with hot and cold water and bidet! Location is close to everything you might need! Wifi connection is practically useless. Electrical sockets kinda hard to get to. Soundproofing is not great. I can hear my neighbors' snoring from my room. Staff was nice. Maintenance responded quickly. Location is perfect for me. 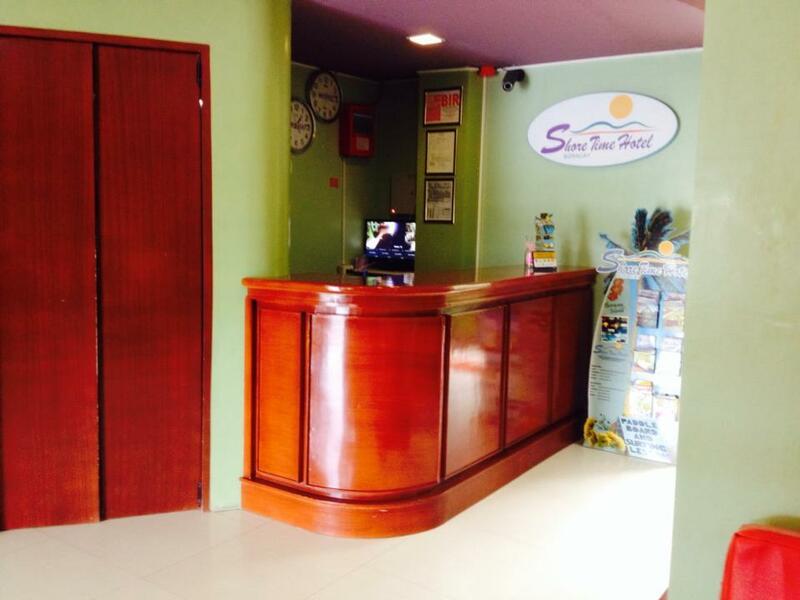 45secondsfrom the beach..2seconds fron "DMALL" Easy access to taxi etc. They didnt make a copy of my passport (and that;s a huge plus for me) I will stat at this hotel again. The hotel is located beside d'mall where all the things you need is located. It is between a bank and a convenience store. Perfect for travellers! Staffs are incredibly friendly. Rooms are clean with great pillows. The only down side was a little lack of privacy. Walls are too thin you can hear noises from the other rooms. Other than that its perfect and I would love to go back. it was nice. the staff was ok. love the location because it is near everything (beach, grocery, bank, party place, etc.) cons: you can hear the noise from the adjacent room and even from the above rooms though it was somehow tolerable. no hanging rods to hang clothes and stuff. not even a makeshift hanging rod but we're kinda ok with it. Great hotel! There are a lot of shops, budget market, food stores, massage near the hotel. You just go through the Dmall and get to the White Beach. The staff was very helpful. Thank you! WE ARRIVED PAST 5PM AT THE HOTEL,WHERE I GAVE 11AM EXPECTED ARRIVAL AT THE HOTEL, IT TOOK US ALMOST 30 MINUTES IN WAITING, THE FRONT DESK STAFF INFORMED US THAT WE'LL BE TRANSFERRED TO MAIN HOTEL WITH UPGRADED ROOM... WHEN I ASKED THE REASON THEY DONT GIVE ME A SPECIFIC ANSWER, WHEN I RESISTED, THEY ALLOWED US TO GET INSIDE AND USED THE ROOM IN THE ANNEX... THE PLACE IS ACCESSIBLE TO D' MALL, ITS QUITE NOISY. Staff were accommodating, kind and helpful. Specially, on regards to the island hopping tour. We were able to refund our payment through their help. Location was near the D'Mall Avenue and the beach. Very good location,nice and accomodating staffs but we can hear the tv sound of in other room but over all recommendable.